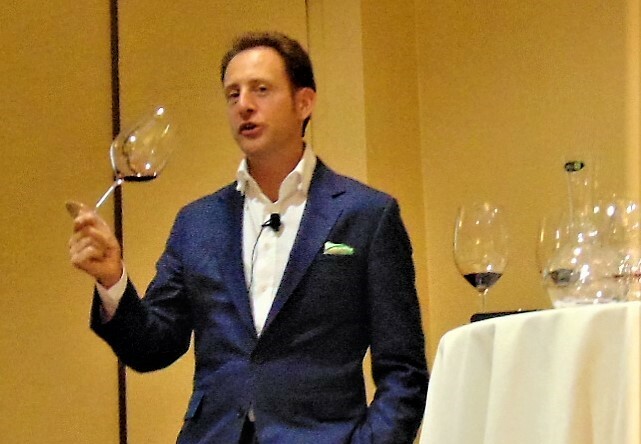 Riedel offered a tasting seminar on October 15 at the Meritage Resort at the south end of the town of Napa. The purpose was to help consumers experience and understand the benefits of their new line of crystal wine glasses thoughtfully named Performance. Notably, the new glasses included some evolutionary features. There were several reasons that I did not want to miss this get-together. The first was that Riedel’s Chief Executive officer, 11th generation Maximilian Riedel, was scheduled to conduct the seminar. Riedel’s history in glass dating to the 17th Century in Bohemia is compelling. Significantly, Riedel was the very first to introduce the concept of grape varietal-specific wine glass types to the world. I had the good fortune to have an interview scheduled with Maximilian Riedel that day. I wanted to peer through the crystal curtain so to speak, learn a little more about his life and interests, and experience the tasting seminar. I understood that he owned a number of sports cars, one of my own long-time interests, and I had some questions. I found Mr. Riedel with his staff putting final touches on the audio-visual content for his presentation in a large conference hall at the Meritage. When all was in readiness, we walked down the corridor looking for a place to talk. Mr. Riedel moved briskly and my perception was that this is a man on a mission, and enjoying it. We settled into two chairs at a small table nearby and began. I had been told that Mr. Riedel, in addition to crystal, had interests in sports cars, better called supercars because we are talking about very high-end sports cars, or limited-editions. His interests also included auto sports and exercise, paralleling my own interests. I eagerly began with his car collection. Would you mention some of the attributes that you like best from a few of the cars in your supercar collection? My uncle and father were factors in my surroundings as I was raised. I began my own supercar collection with the intention of it being a second business. The main significance now is that I really appreciate the styling of these cars. Have you ever competed in historic racing, I mean the type we have here in Monterey during Automobile Week each August, and at the Goodwood Festival of Speed in England? I took part in historic racing once. It can be time consuming. You need to be able to schedule time and have great passion to continue in it. What are some of the cars in your collection? My first was a Maserati Ghibli. My collection includes the Ferrari F-40 and a Porsche Turbo-S, both being limited production models, the Porsche at 180 units. I own both the 2005 Ford GT and the 2018 Ford GT hybrid, a 1969 Mustang Mach 1 SCJ, and a BMW. I have previously owned several Lamborghini models. I believe you occasionally follow Formula One race results with your family. A current controversary surrounds “team orders” where a driver’s team may ask them to permit their teammate to pass in a race, if the teammate has more Championship points. Fans admire unimpeded competition, while teams receive large sums of supportive funding for Championship wins. Is there a solution to this? I recognize the needs of both fans and teams. It seems that team orders are more prevalent today than in the past. I remember watching races before the turn of the millennium where these orders were either less used, or at least less of a topic. Clearly, all F1 fans want completion in the most unrestricted form. We can hope for the best that is possible from F1. In any case, F1 is always exciting. I understand that you find physical exercise to be important. I think so too. What types of exercise do you do, or what do you recommend? Frequent exercise clearly has benefits. Our Kufstein factory lies in the Tyrolean Alps in Austria. I like to take walks, especially in the mountains. When I can make time in my schedule, I snow ski. Far too many of us cite time as a barrier to exercise. Arnold Schwarzenegger said something like, “If the Pope has time to work out, if the President has time to work out, you have time to work out.” We need to create time for this important activity. (Pausing, then leaning forward) My Father Georg was a visionary. He sees the future. My father is best known for conveying our message of varietal-specific wine glassware to international audiences. He showed me what is possible. During World War II my family’s glass business was severely interrupted, actually ended for a period. At that time my grandfather, Claus Riedel, had to go asking for employment. Eventually he was able to restart our glass business as the Riedel Glass Factory in Kufstein. My Father’s introductory meeting with Robert Mondavi of Napa in the late 1980s was important in establishing Riedel’s presence in the USA. Mondavi was the first major US vintner to escalate the attributes of Riedal wine crystal, and to be in a position to help spread our concept. In a similar situation, my father and the prominent Italian vintner Angelo Gaja of Piemonte formed a fruitful relationship. I have some questions about your glassware. Will you custom-create a unique glass for a wine producer making a wine that exhibits particular or uncommon characteristics? The answer is yes, we would definitely consider that on a case-by-case basis. For more product questions, see if I answer those at the tasting which is nearly ready to start. If I don’t, please ask your questions there. When people hear Riedel claims about the benefits of their wine-specific crystal glassware, they are reportedly often intrigued. Riedel’s glassware tells the story best, but I would say read on and I will try to elucidate. There really is a story to tell. 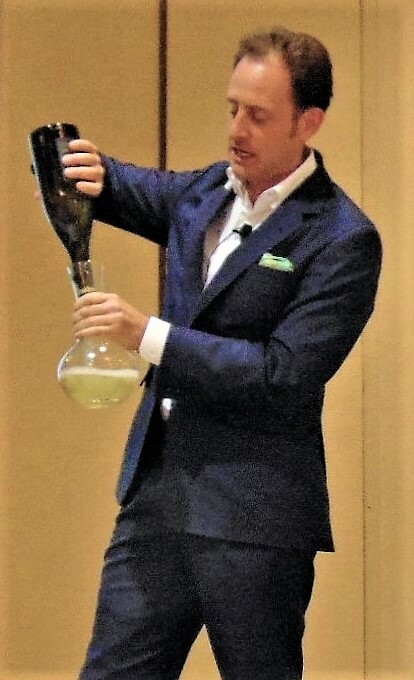 Sitting at the seminar tables, each guest found in front of them six Riedel Performance crystal wine glasses, a small decanter with Cabernet Sauvignon in it, and two cups with Chardonnay in one and Pinot Noir in the other. Maximilian started with some basics, saying as we raise our wine glass we will smell, taste, and feel the wine in that order. Each “tool”, as Maximilian calls his glasses, was being compared to other Riedel glasses in delivering a specific variety of wine. The sensory experience began with 2016 Chardonnay made by Cuvaison. 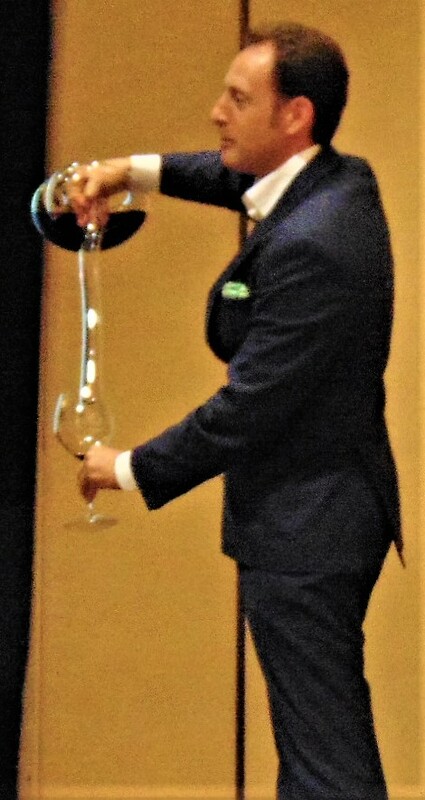 First, we were asked to evenly distribute the cup of Chardonnay into the first three Riedel Performance glasses. 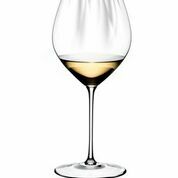 We were directed to note the aromas of the wine in our reference glass, the Oaked Chardonnay glass, without sipping. We were to remember that aroma for comparison with the same Chardonnay in the other two glasses. For the comparison, we inhaled the Chardonnay aromas from the Riesling glass, remembering them, then returned to the reference Oaked Chardonnay glass, where the comparison became quite vivid. Following, we did the same back and forth exercise with Riedel’s Pinot Noir glass. The results of the glass comparison were striking. The correct glass made a noticeable difference. The aromas of the Cuvaison Chardonnay from Riedel’s Chardonnay glass were balanced, full, and generous with fruit. But the Chardonnay from the Riesling glass was biased in the direction of a burning sensation from the alcohol, while the Pinot Noir glass yielded frail aromas. The incorrect glass distorted the wine, exaggerating certain components and attenuating others. 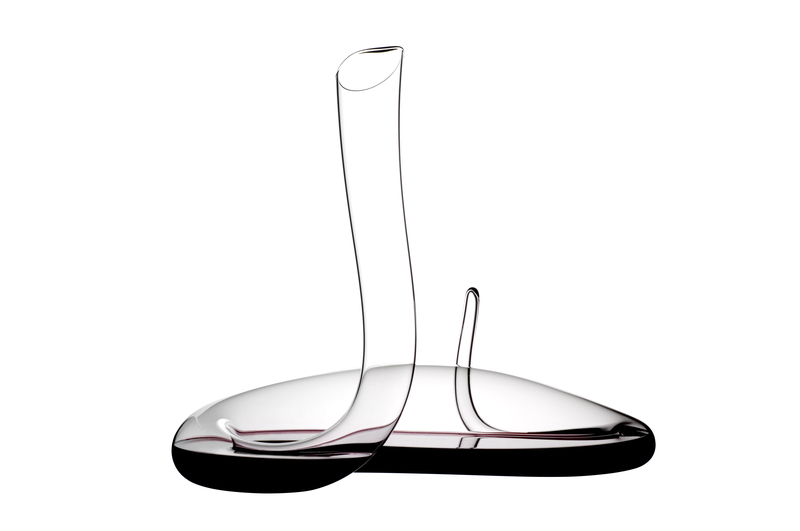 Riedel’s goal in glass design is to deliver the components of a wine in a balanced format. As might be guessed, there is a multitude of different grape varietals worldwide, and each one demonstrates a variance in the amounts of their constituents. 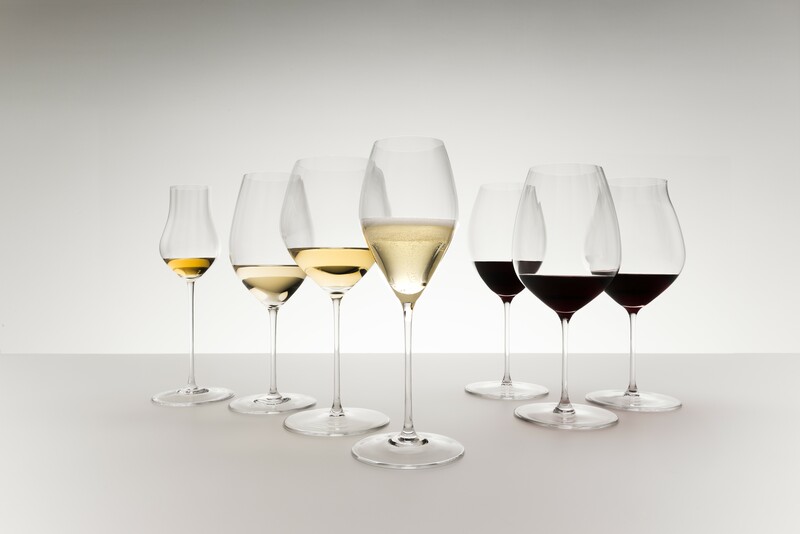 Riedel’s wine glasses are tuned for delivery performance, specifically to reduce distortions. Having completed the aroma comparison, we performed a like evaluation for the sense of taste. The Chardonnay wine sipped from the Riesling glass tasted of mineral, sharply acidic, with non-focused fruit and a short finish. From the Pinot Noir glass, the Chardonnay tasted thin with bitter notes on the rear palate. In contrast, wine from the Chardonnay glass tasted balanced, with round, generous fruit. I thought this was a revelation! Following we repeated these evaluations for both aromas and taste with a red wine, a 2015 Pinot Noir produced by Cuvaison. The Riedel Performance glasses we used were the Oaked Chardonnay, the Pinot Noir, and the Cabernet/Merlot. The Oaked Chardonnay glass caused the Pinot Noir to express low intensity with a note of hay on the nose, and a slight bitterness. From the Cabernet/Merlot glass the wine displayed little intensity, closed aroma, and on the palate a drying bitterness. When we compared with the Pinot Noir glass there were distinguishing differences. This glass caused us to tilt our heads back, delivering the liquid to a particular area on the tongue. The Pinot Noir glass brought out good balance, full fruit, aromas of spice and rose, and flavors of ripe cherries and strawberry jam. The right glass for a specific wine really makes a difference. As good carpenters need good tools, so do wine fans need good “tools”. We repeated these assessments for another red wine, a 2014 Cabernet Sauvignon by Groth. 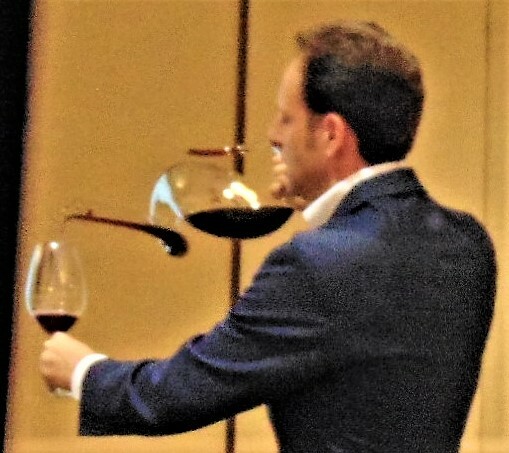 The correct glass, Riedel’s Performance Cabernet/Merlot glass allowed the wine to show at its balanced best demonstrating full fruit, with aromas of teabag, eucalyptus, and tobacco. The other glasses allowed distortions of the Cabernet. From the Degustazione glass the Cabernet appeared weak, tannic, and sharp. The Riedel Restaurant glass caused the wine to deliver insufficient intensity and show excessive tannin. 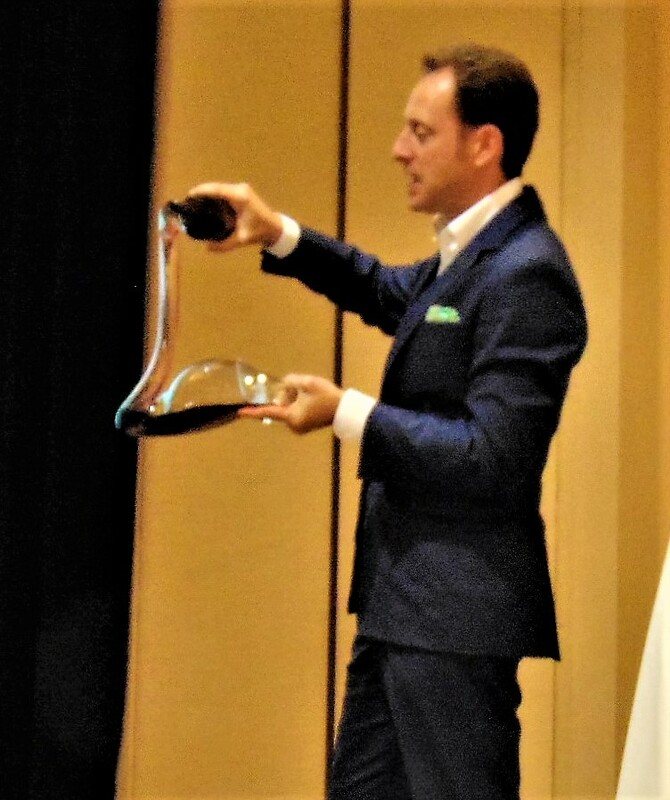 Evaluating variance in aroma and taste from Riedel’s different glasses for a specific wine proved to be revealing. Wines made from the numerous grape varietals possess varying aromas, flavors, intensities, and densities, as well as variation in the four major components of wine: fruit, acid, tannin, and alcohol. 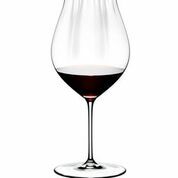 Riedel wine glasses have different shapes with multiple bowl sizes and rim diameters, while some show rim complexity. Riedel’s many glasses deliver wine aromas at different rates and intensities to the nose, and transport the liquid to different zones on the tongue, thus altering the perception of the wine to one of proper balance. 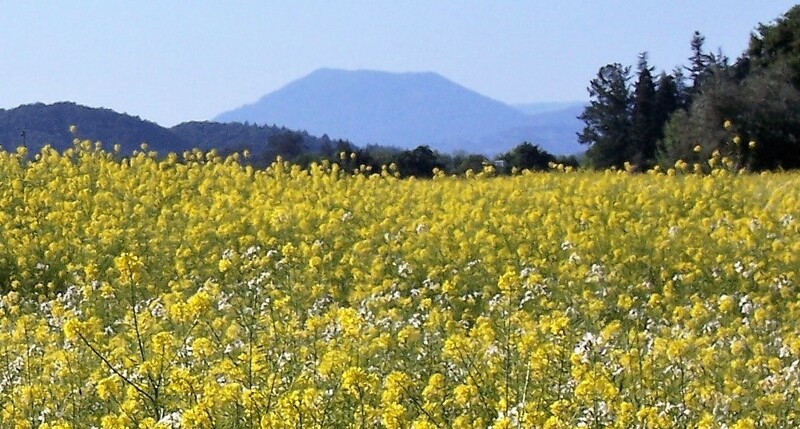 We are complex biological beings, and our olfactory genes make up the largest known gene group. Riedel’s glasses cater to our complex needs. 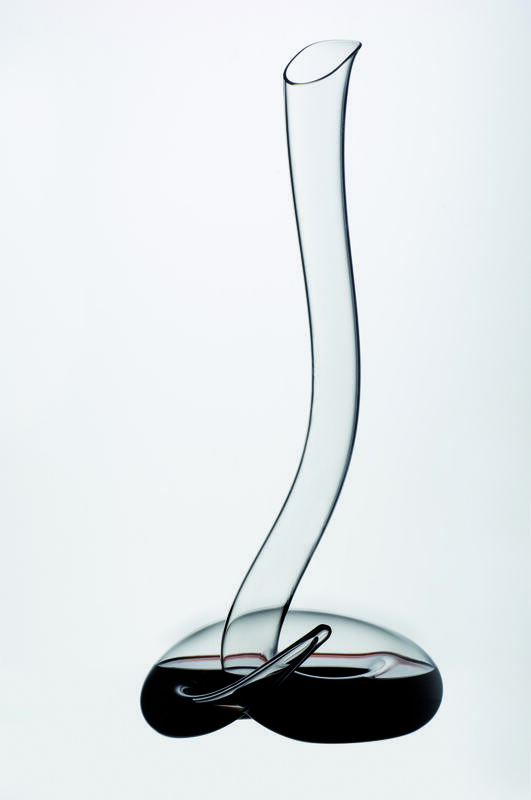 Riedel designs each varietal-specific wine glass to bring balance when that glass is used for the intended wine. One of the most significant aspects of Riedel’s Performance line, just introduced in 2018, is the facility to assist a wine to open and become more expressive by providing greater contact with oxygen. Performance accomplishes this with what Riedel calls the “optical impact”, minute undulations on the inside of the glass bowl generating a 30 percent increase in interior surface area. When the wine is swirled in the glass it coats the walls, gaining valuable oxygen contact from the increased surface area, thus opening the wine quicker and better. There are seven machine-made members of Riedel’s Performance line, which Riedel calls “the new ultimate loudspeaker for fine wine”. Further attributes include the laser-cut rim offering increased rim strength and elimination of micro-cracks and chipping during fabfication. Many will appreciate that these lightweight glasses are dishwasher-safe. The seamless pulled stem above the glass’s larger base does away with the ridge-line found on most machine-made stems of the past. As we know, lead went out in 2015.